You like your wine, but sometimes you're just more comfortable with a mug. Well this double-walled-do-it-all lets you have it both ways. 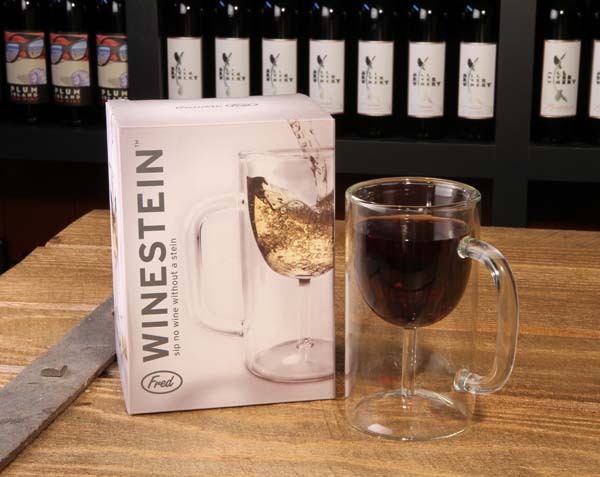 Elegant wine stem on the inside, manly beer stein on the outside, It's a glass for all reasons. So pour yourself a nice measure of vino, grab it with gusto, thoughtfully inhale the bouquet, then toss it back. Mmmmmm...vivacious and pithy, with just a hint of irony!